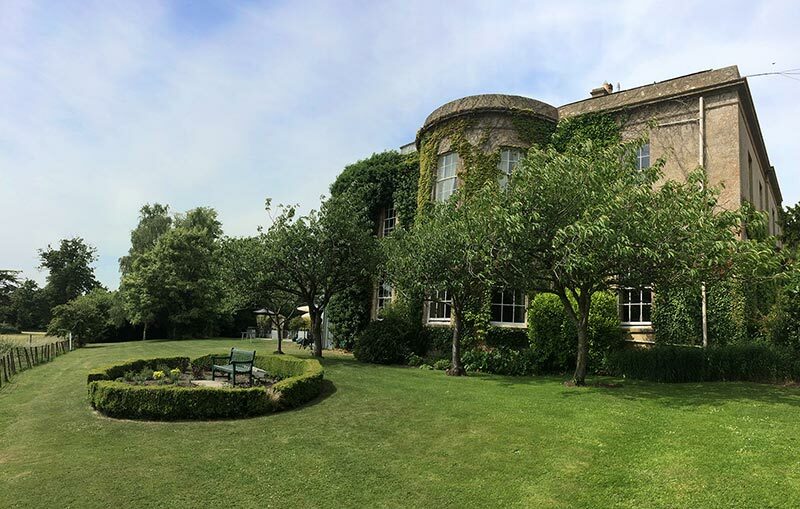 Friday, 19th June 2015 – British Summer seems to have started warming up finally! 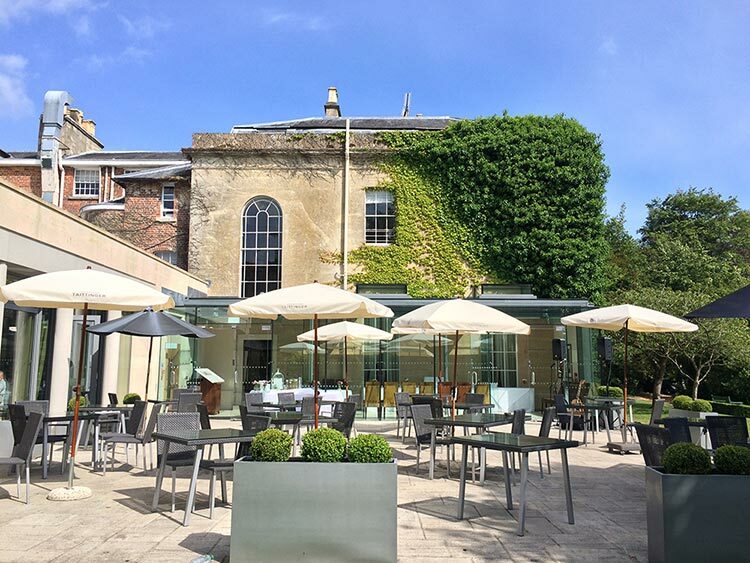 We had beautiful blue skies for most of the day and it was lovely and warm when I arrived at the stunning Bishopstrow House Hotel. Mike & Kelly booked me to play during the break between the wedding breakfast and the evening party. With the weather set fair, I set up outside on the patio area. And, before I left, there was just time for one more song! A very important one – Mike & Kelly’s first dance as man & wife. 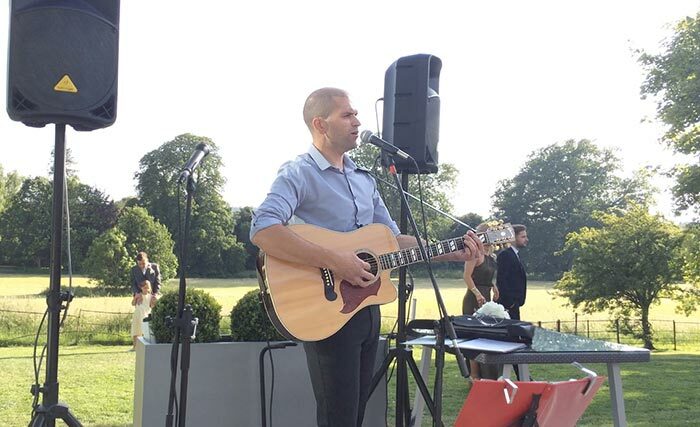 They chose “Still Into You” by Paramore, I played a stripped back acoustic version which worked really nicely. Huge congratulations to the happy couple and hope you had a great day and evening! 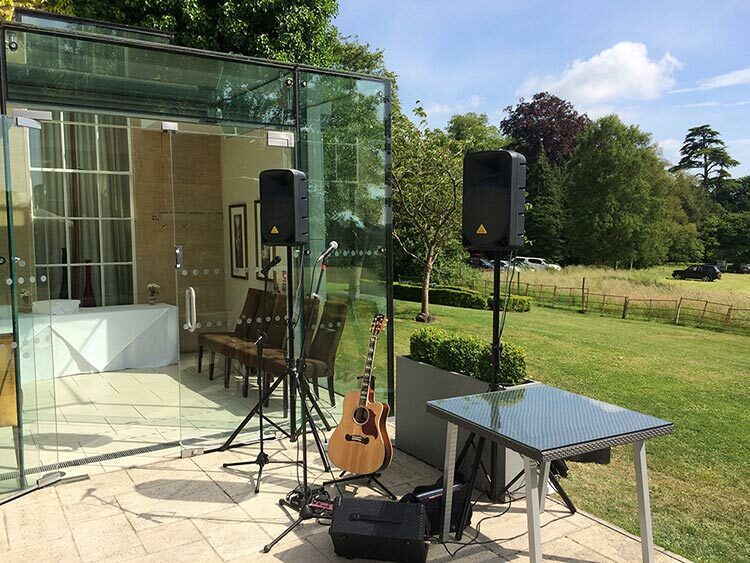 This entry was posted in News, Wedding Guitarist Blog and tagged acoustic, Bath, Bristol, entertainment, guitar, guitarist, Hotel, live, live music, music, musician, performance, reception, set, singer, singing, venue, Warminster, wedding, weddings, Wiltshire by Pat McIntyre. Bookmark the permalink.